AIKEN – Ms. Alena Renea Weeks Greenhill, 31, of Aiken, died Friday, March 30, 2007 at her residence. Funeral services will be held at 3:00 PM Wednesday in the Shellhouse-Rivers Funeral Home Chapel. Reverend Robert Rish will officiate. Interment will follow in the Clearwater Branch Baptist Church Cemetery. Pallbearers will be Joshua Weeks, Jim Rutland, Morgan Weeks, Greg Smith, Jimmy Jones, and Charles Jones. Renea was born in Aiken, a daughter of Gail Weeks, Aiken; and James “Randy” and Debbie Weeks, Aiken. She was a lifelong resident, and worked as a medical assistant at the Women’s Health Association. 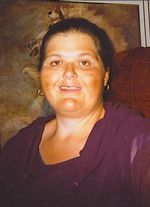 In addition to her children, Olivia Ann “Libby” and David Randall “DJ” Greenhill, survivors are a sister, Dawn Rutland (Jim) Aiken; a brother Joshua Weeks (Melissa) Aiken; Nikki Weeks, Aiken, Danielle Smith, Aiken; Greg Smith (Maria), Aiken; Kasey Smith, Aiken; JerriLynn Smith, Lincolnton; a maternal grandmother, Joyce Weeks, Aiken; a paternal grandmother, Harriette Weeks, Aiken; twelve nieces and nephews; and her special friend, Jimmy Jones, Aiken. A niece, Taylor Weeks, and a grandfather, Gene Weeks, preceded her in death. The family will receive friends at the residence of Joshua Weeks, 2334 Wire Road, Aiken on Tuesday from 12-5 PM and from 6-8 PM Tuesday evening at Shellhouse-Rivers Funeral Home, Inc., 715 East Pine Log Rd., Aiken, SC. Mary, I got a call tonight from Renea Greenhill’s mom who told me that Renea died Friday night. Renea was from Aiken, SC and was on the board until she did not have a computer anymore. She had tried to get groups together in SC. She had left a note that if she died that her mother was to call me and I was to let everyone on the Cushing’s board know of her death. Her mother had seen her on Friday night and talked with her later. Her boyfriend came over and found her on the floor. He called her mother who told him to call 911. He did and her mother got right over there. 911 got there, but did not attempt to revive her and she was to be an organ donor and the organs could not be used. She was dead. An autopsy found nothing wrong with her physically. I told her mother that I bet she died of an adrenal crisis and told her mother to call the coroner to have them do tests for that. She was very appreciative of my thinking of this and was going to call. Renea had been to see Dr. Laws for surgery several years ago. She ended up with meningitis from surgery there. She ended up in critical care at the Medical University of SC. Later had her adrenal glands removed. She had “beat” cushings her mother said. She had lost over 300 lbs. She has two young children who are now without a mother. Her husband had divorced her several years ago, so she was rearing the children as a single mom. Please pass this on to everyone for me for Renea at her request if this happened to her. She loved her Cushing’s friends. Below is her obit. Memorials are to be made to the Cushing’s group. • I am sorry to hear of Renea’s passing…thank you for sharing with us. Condolences to her family, friends and loved ones. • So very young — so very sad. • My Goodness, she was so very young. This is a startling reminder how serious an adrenal crisis can be. Thank you for carrying out her wishes to let us know. I talked with Renea a few months ago. It may not have been adrenal crisis, but it may have, as Renea, after her BLA, didn’t need replacement. She hadn’t taken hydro for some year(s), and yet her cortisol was always “0”. The doctors would just scratch their heads. Thanks for posting Mary. My prayers are with her and her family. • I am so sorry to hear about this. My prayers go out to her children and her family. What is scary to me is the fact that, considering her history no one there thought to check to see if an adrenal crisis was responsible. • How terribly sad. And the two young kiddies too. She sounds a remarkable woman. Very sad indeed. • I am absolutely heartbroken over Renea’s death. She was far too young and she already suffered so much. I hope her kids know how much she loved them. I have been struggling with my own health issues lately and her death brings home just how dangerous our lives can be. I hope she is at peace and that her family is able to cope with her death. I am so very sorry that we lost such a great person. Renea was a great source of strength for me and I will miss her dearly. • Very sad news! My thoughts are with her family and her children. • Thoughts with her family and children. Her mother must be devastated. I hope she can read the posts and know she’s thought of. Very sad for these children to lose their mother at such a young age. • My deepest condolences to her family and friends. • How very sad. So young, and had already been through so much. • So very sad. So young , & so much still ahead of her. • I wonder if they checked her for Nelson’s also? She looks very tan. My deepest condolences to her family and friends. • Such a sad ending to a beautiful life. Sending peaceful thoughts to her family..
• It is very sad to fight that hard… and then the family does not know why… my thoughts and prayers are with them… It breaks my heart to think that she had to suffer so much, but she must have been such a strong, brave person to go through it. My prayers are with the family..
• How sad – she was so young. My sympathies to her children and all of her family. • I’m so sorry to hear that another Dear Cushie was lost, I remember Renea from the old board mostly and remember how, very sick she was after her surgery, as others said she was way too young, and I’m sure her family and friends will miss her so very much. Someone we have to get all doctors on board to realize how very serious this illness is, not just a few who are out West, we all know they are good doctors, but we need some good ones in the Midwest, in the South, in the East, I know there are some, but we need more pit centers and more pit spealist on understands the devastating and life or death realality some of these pituitary tumors or adrenal tumors can cause. I’m so sorry to learn on this happening to a dear cushie I remember from the boards. • My prayers to her family. May God bless and keep her children. I can’t imagine how hard this is for them.